Imagine the landscape of Jurassic Park. Hills packed with lots of tall trees mixed with some striking tree ferns. Below the trees are different ferns clumped together covering the forest floor. The low clouds hang over the rainforest giving it a bit of an eerie and damp feel. Birds can be heard everywhere, but even if you look closely you can’t really spot them in the dense green sea of leaves. You don’t have to travel far in NZ to see this landscape. Most areas, even in suburbia often have reserves, which, within a few meters, take you into Jurassic park. Untouched, undeveloped old pieces of rainforest that have been kept alive despite the urban development around it. Unimaginable in a country like the Netherlands where all pieces of nature have been touched by humans at some point. It really must be how it was in the time of the dinosaurs and it’s impressive. There’s even one reptile which is a direct descendant of a reptile living amongst the dinosaurs 200 million years ago, the Tuatara. The Tuatara is hard to spot in the wild. Not so much for the dinosaur insects here. 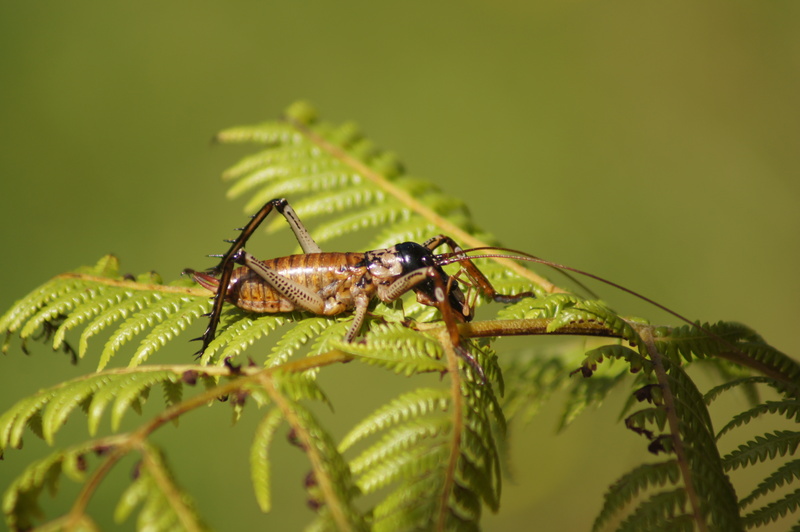 The Giant Weta really looks as if it belongs in the Dinosaur age, and it hasn’t changed much in the last 100 million years. Don’t be scared when you see it, as it is amazing with its large spikey legs and funny long antennae. You can easily think yourself back in time, Jurassic park time. This entry was posted in A to Z challenge and tagged a to z, dinosaurs, jurassic, nz, tuatara, weta. Bookmark the permalink. New Zealand is on my bucket list and your posts are making it simply irresistible!